Shade & Sail Innovations provides a range of residential and commercial shade solutions, including span shades, shade gazebos, and other shade structures. Access to advanced manufacturing technology and years of industry experience has given us the ability to create unique shade solutions for homes and businesses in Perth and across Australia. 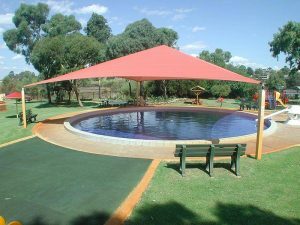 While conventional shade sails are popular in many locations, shade structures can also be installed as a strong and durable alternative. 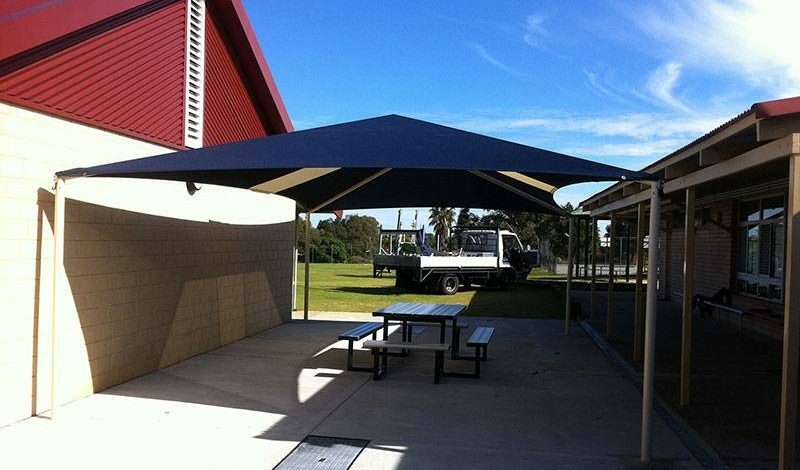 Our shade structures are available in a square or rectangle design and come in a great range of colours and styles. Here at Shade & Sail Innovations, we have access to a variety of software tools and fabrication technologies. Our span shades and other shade structures are manufactured in-house using advanced CAD software, with most of our computer applications having been purpose-built to meet our specific needs. We’ve been involved in this business for over 20 years and understand the importance of flexible and reliable design. Along with design applications, we also have access to our very own workshop and integrated sewing loft. 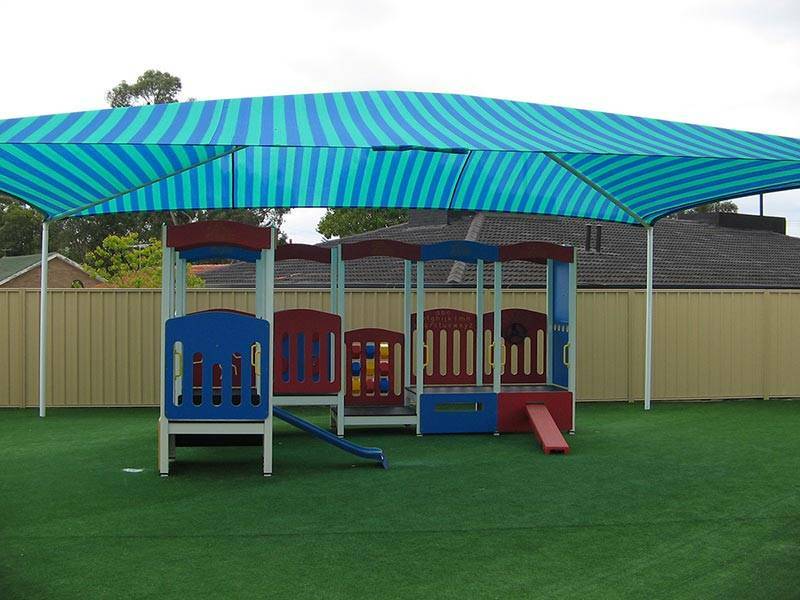 Whether we’re creating shade sails or shade gazebos, we can create customised products that are designed to meet individual requirements and are made for specific spaces. From the initial design phase through to the manufacture of steel support structures and cloth fabrication, our experienced team have access to the most advanced fabrication technology in the industry. Shade & Sail Innovations manufacture strong and durable shade structures with a comprehensive warranty and maintenance-free design. Each structure comes with supporting upright steel posts, which can either be embedded in their own concrete footings or installed directly on base plates. 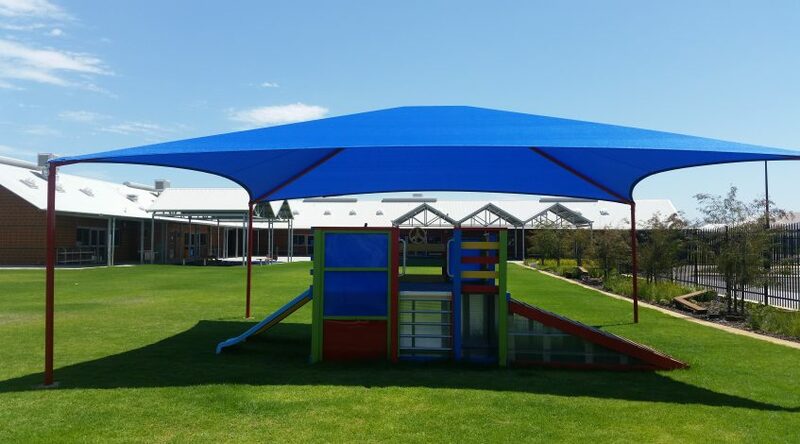 Both of these options provide stability and structural integrity, with our support team able to advise you based on the size and location of the shade structure and your working budget. W e only use the best galvanised steel components which is powder coated in the colour of your choice. Each structure is designed with “hips” for maximum support, with a dedicated rafter sometimes used in the roof structure depending on size and shape. 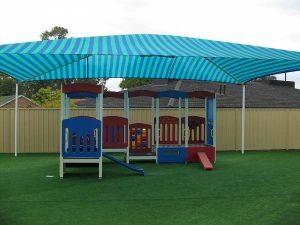 A shade cover is then installed over the roof structure using tension, with staineless wire cable through a pocket in the perimeter of the cover. Along with the structure itself, we also provide extra heavy duty cloth that helps to ensure protection from the elements. Our cloth design offers up to 96% UV protection and includes an interlock design seamed with twin lock stitching. In order to ensure long-term integrity, all corners are reinforced with PVC panels.